Busting the theory that jobs are not being created in formal sector, a new study has found that 590,000 jobs were generated every month until November in the current financial year. This means that seven million jobs will be created in the formal sector in 2017-18 if one expands the trend on a pro rata basis.The study, authored by SBI group Chief Economic Advisor Soumya Kanti Ghosh and Pulak Ghosh, a professor with the Indian Institute of Management, Bangalore, calculated the number of jobs in enterprises from the membership of Employees’ Provident Fund Organisation (EPFO), Employees’ State Insurance Corporation, General Provident Fund and National Pension System (NPS). A report submitted by a task force on employment, headed by former NITI Aayog vice-chairman Arvind Panagariya, had also recommended using this kind of database. As such, this is the first study to estimate job creation using these kinds of data sets.So far as data from the EPFO is concerned, the study, titled “Towards a Payroll Reporting in India”, estimated that 3.68 million jobs were generated till November of FY18, which would imply 5.5 million in the entire year.This would be higher than the 4.5 million created the previous financial year, a period which saw disruption from demonetisation. The top 10 sectors of the economy — manufacturing and usage of computers, chemicals, textiles, contract engineering, garments, building and construction, trading, general engineering products and expert services — contribute about 75 per cent of total employment in the formal sector in India.The study found that there were 91.9 million employed people in the formal sector as of March 2017. If one adds those which contributed nothing to these funds, the figure will turn out to be 100 million. This is not significantly different from the figures arrived at by the National Sample Survey Organisation (NSSO).The study estimated that 15 million are added to labour force every year. Of this, around 6.6 million are possibly qualified manpower; the rest 8.4 million are non-graduates, non-qualified and dropout graduates.It says by 2040 or so, it is expected that India’s demographic dividend will be conclusively over.The total fertility rate is already down to 2.2 children for every woman and is expected to reach the replacement fertility rate of 2.1 by 2025. The replacement fertility rate is the birth rate at which the population level remains constant, taking into account the mortality rate and other factors.As to how the government should go about the establishment survey, the study suggested that a trend analysis of EPFO data across 190 industries and across geographies should be done to reorient our skill development programmes towards such industries.Also, a detailed analysis of labour on contract under the contract labour Act should be done to estimate the total number of people on contract.Currently, the Chandigarh-based Labour Bureau conducts the enterprise survey and NSSO does household surveys to estimate job creation. The study says that a survey by the Bureau gives a distorted picture of job creation. Country’s second largest software services firm Infosys today posted 9.8 per cent increase in consolidated net profit to Rs 3,398 crore for the quarter ended September 30, 2015. The city-based firm had reported a net profit of Rs 3,096 crore in the year-ago period. Consolidated revenue was up 17.2 per cent to Rs 15,635 crore in the said quarter from Rs 13,342 crore in the year-ago period, the company said in a filing to the BSE. Infosys had reported a net profit of Rs 3,030 crore and revenues of Rs 14,354 crore for the April-June quarter of this financial year. Reacting to the numbers, shares of the company dropped 3.07 per cent to Rs 1,132 apiece in early trade on BSE. The company also announced that its Executive Vice President and CFO Rajiv Bansal has resigned. He will be replaced by M D Ranganath at the close of business today. Ranganath has held several leadership positions during a tenure of nearly 15 years with Infosys. For 2015-16, the company gave a revenue guidance of 13.1 per cent to 15.1 per cent in rupee terms. In dollar terms, the company forecast growth of 6.4 per cent to 8.4 per cent. “We are experiencing a once-in-a-generation opportunity for a services company to help businesses maximise their potential with technology… I am encouraged by our progress. While results in any one quarter are transitory snapshots of a long journey, we do see our focussed execution along our strategy starting to produce encouraging results for our clients, shareholders and Infoscions,” Infosys CEO and MD Vishal Sikka said. Infosys COO UB Pravin Rao said the company had strongall-round growth during the quarter, driven by recent initiatives around service differentiation, improvement in client mining and higher focus on winning large deals. “Increase in revenue productivity was significant, volume growth was robust, client metrics and utilisation improved while attrition remained stable,” he added. In dollar terms, the net profit grew 0.2 per cent to USD 995 million, while revenues rose 7.2 per cent to USD 4.6 billion in the July-September quarter of 2015-16. “The impact of significant currency volatility was effectively mitigated by our proactive hedging programme,” Bansal said. During the July-September quarter, Infosys and its subsidiaries added 82 clients. The company added 8,453 employees in the said period from June 2015 quarter, taking its total headcount to 1,87,976 as of September 30, 2015. The company’s attrition level was at 19.9 per cent in the said quarter as compared to 19.2 per cent in the June quarter and 24.8 per cent in the year-ago period. Liquid assets including cash and cash equivalents, available -for-sale financial assets and government bonds were Rs 32,099 crore as on September 30, 2015. Indian Institute of Science, Bangalore upstaged Panjab University as India’s number one university, while IISc and IIT,Bombay, were the two new entrants in the top 100 of the Times Higher Education University Asia Rankings 2015, released on Wednesday. Panjab University as India’s number one university. However, there is cause for concern as this year only nine Indian universities made it to the top 100, down from 10, whereas IIT-Guwahati, IIT-Kanpur and Jadavpur University-which made it to the top 100 comfortably last year-have exited the rankings altogether this time. Meanwhile, China has overtaken Japan as the Asian power house in education, but Japan’s University of Tokyo is still in the numero uno position. 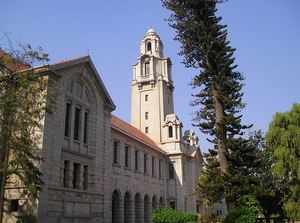 IISc-Bangalore entered the table at 37th, one place ahead of last year’s leader, Panjab University, whose rank fell from 32. Five IITs, led by IIT-Roorkee (joint 55th) formed the lion’s share of the country’s representation, although Aligarh Muslim University (90th) and Jawaharlal Nehru University (96th) too made it to the top 100. The Asia rankings use 13 performance indicators to examine each university’s strengths against its core missions of teaching, research, knowledge transfer and international outlook. Besides seeding its position to China, many of Japan’s representatives have lost ground, with only 19 universities in the list, down from 20 last year and 22 in 2013. China now has 21 representatives in the top 100, going past Japan for the first time, with three of its universities as new entrants. Last year China had 18 universities and 15 in 2013. Both Peking University (fourth) and Tsinghua University (fifth) have moved up a place. Hong Kong University managed to retain its third place and had a strong presence from the Chinese special administrative region, with all six of its universities in the top 50. The Hong Kong University of Science and Technology rose from ninth to seventh, while the Chinese University of Hong Kong stood at 13th. “The world expects Asia to be the next global higher education superpower after Europe and North America. Times Higher Education data shows many of the continent’s leading universities competing on equal terms with the best in the West,” said Baty. The Times Higher Education World University Rankings 2015-16 has more Indian institutes from previous editions after the list was expanded to top 800 from 400. But none of them breached the top 200. “With the population of young people in the country continuing to expand resulting in further pressure on resources, it is now more crucial than ever that India invests in research and strengthens its links with other nations. The government has spoken about improving its universities but is yet to implement an initiative in this area. It will need to act, and fast, if it wants to match up against its fellow BRIC nations and the rising stars in Asia,” he said. In Asia, the National University of Singapore holds Asia’s number one spot (in 26th place) while China’s two leading universities (Peking and Tsinghua) are firmly established in the world’s elite top 50 group at 42nd and joint 47th respectively. Japan has two institutions in the top 200, University of Tokyo (43rd) and Kyoto University (joint 88th), while South Korea has four institutions in the top 200: Seoul National University (85th), Pohang University of Science and Technology (116th), the Korea Advanced Institute of Science and Technology (148th) and Sungkyunkwan University (153rd). Hong Kong has three institutions in the top 200: the University of Hong Kong (joint 44th), the Hong Kong University of Science and Technology (59th) and the Chinese University of Hong Kong (joint 138th).